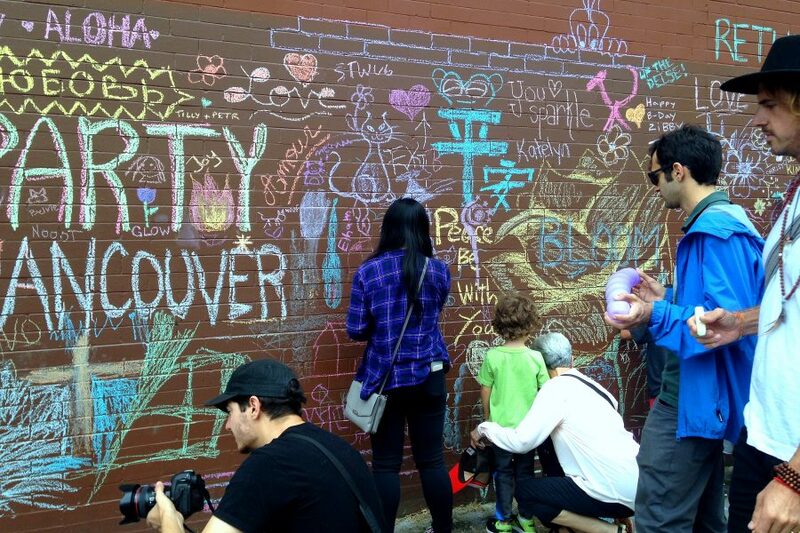 It was a time for the community to gather together as a family during the Vancouver Mural Festival. A half block of the building surface is free for all to “write graffiti” The writings on the wall indicate good thoughts for the neighborhood. Peace be with you stood out for me”. and the little child is given the privilege that this time it’s ok to write on the wall. What would you write given a chance? This entry was posted in Family, Photography, Street Photography and tagged Family portrait, Graffiti, Meanwhile in Vancouver, Photography, Street Photography, Vancouver Mural Festival by Perpetua. Bookmark the permalink. Thank you, VJ. What would you write on the wall? Hmmm…maybe: Take care of one another. Yes. Absolutely. We have to care for each other. Thank you. The Beatles! Love that song. Thank you, Amy. What would you write? Same as you. “Peace be with you.” It’s written on the wall. Excellent, Tina. It’s so you. Sweet. A wonderful idea to share these thoughts with the community. Thank you, Patti. What would you write on the wall? Coexist. I like the mix of cultures there. What a wonderful idea! I’d probably draw a flower to send happy thoughts to whoever notices it. Flowers 🌺 are always noticeable. hmmm – I don’t know what I’d write … probably one of my favourite expressions like “in a world of Cheerios, be a Fruit Loop”. Too funny, Joanne. I like that!